their MAC is Beauty campaign and I couldn't help but stop in and peek at the pastels. The colorful line is filled with beautiful spring shades that are straight from the 1960's. The event they held reminded me of a scene out of Hairspray, aside from the head pounding music that played too loudly. I picked up a Beauty Powder in Pearl Blossom, a satin eye shadow in Preening (both Limited Edition) and a fluidline in Ivy. I really love the eye shadow. it's perfect for spring and it's great for a simple look or for a pop of pastel color. The fluidline is just as smooth as my Cinderella one and it's a great bright shade. The beauty powder is not a highlight or a blush, but rather something in between the two. I feel like it is best applied over a blush for added glow. Over all, the eyeshadow is a hit, the beauty powder is a nice eyeshadow as well and is nice enough, but not ground breaking. The fluidline is smoother than my Bobbi Brown gel liner (also in Ivy) but not as pigmented and brighter in shade. 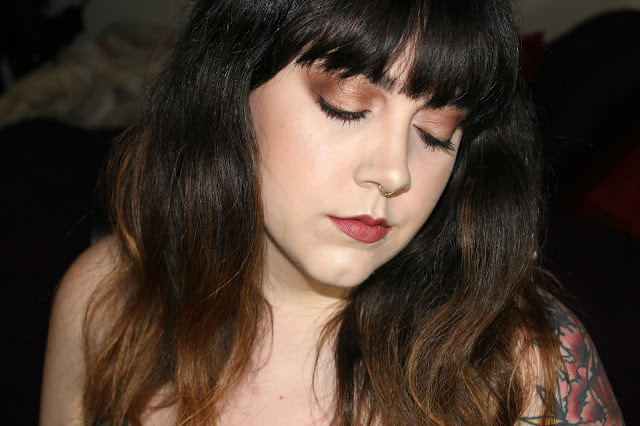 favorite shadow for spring? Tell me in the comments.